Uglyworld #1945 - Metro Homeworkers - (Project Cinko Time - Image 151-365), a photo by www.bazpics.com on Flickr. 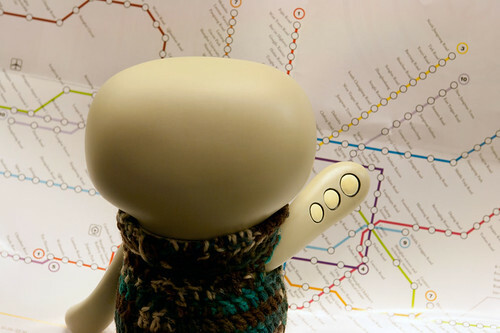 Baz is haverings to workies super long daysies, so I has takereds it upons myselfer to acquirers a map of the metro systemer so that I can already does some homeworkers into places that we can goes and visiters when he has some free timers. It would be so much easiers if there was onlies half as many stations to has to dealers with, I thinks it could takers many months to visiters all of the cooler places here in Shanghai!